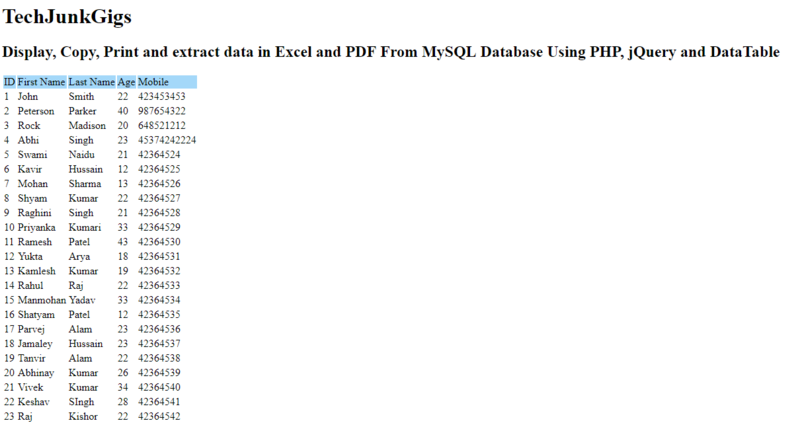 In this tutorial “Export Data from MySQL in PHP Using Data Table” we are going to learn about how to display the data and extract data from database using DataTable.js. The grid view of the table is very important for web component in the modern website. In every large table, we must need Sorting, searching, and pagination which is not an easy job in HTML tables. There are many grid views are available on the web, DataTable.js is one of the most popular files among them. So, here we will use PHP and MySQL to get data from server side. So we have to simply follow a few steps and will get a small quick example. This is a connection page, mysqli_connect() function opens connection to the MySQL server . This page will appear whenever a user opens the site, this page contains a simple web interface that displays the data records with the table. This page contains all record of data which is available in MySQL database and there is COPY, CSV, PDF, PRINT button through which user can easily copy all data and paste it, then the user can also extract the data in CSV and PDF format and also print the data using the print button. Create a PHP file named “index.php” and paste the following code inside of it. 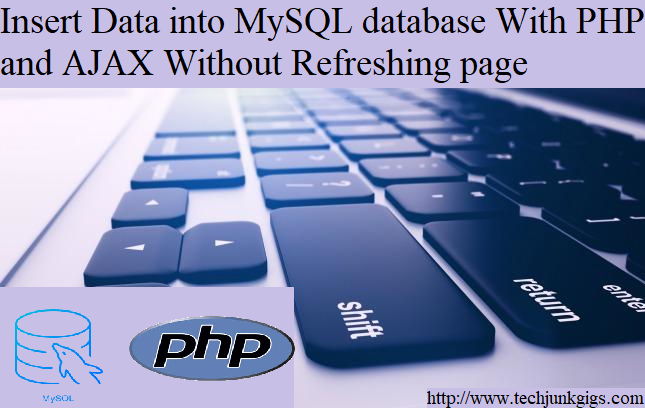 I hope this article helped you to know “Export Data from MySQL in PHP Using Data Table”. To get the latest news and updates follow us on twitter & facebook, subscribe to our YouTube channel. And If you have any query then please let us know by using the comment form.